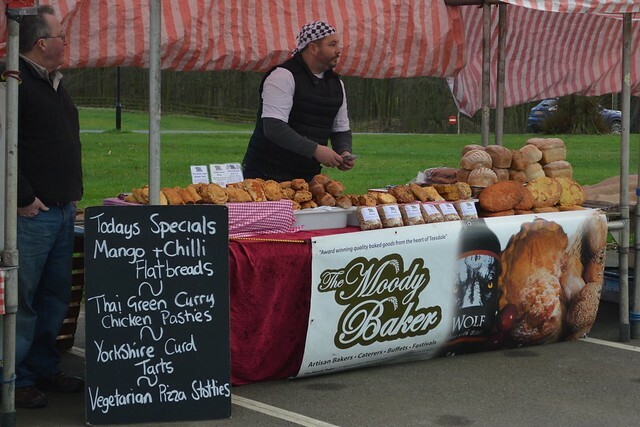 On a overcast Sunday in the middle of March, we decided to pay a visit to the Farmers Market at Wynyard Hall, (Wynyard, Stockton-on-Tees, Billingham TS22 5NF). 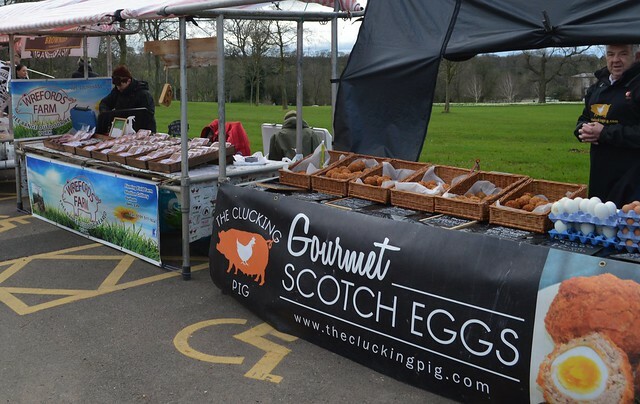 It was the first market of the season, and the first that we had ever visited at Wynyard Hall. Being early birds we turned up at 9am, which was the time the market was due to open. 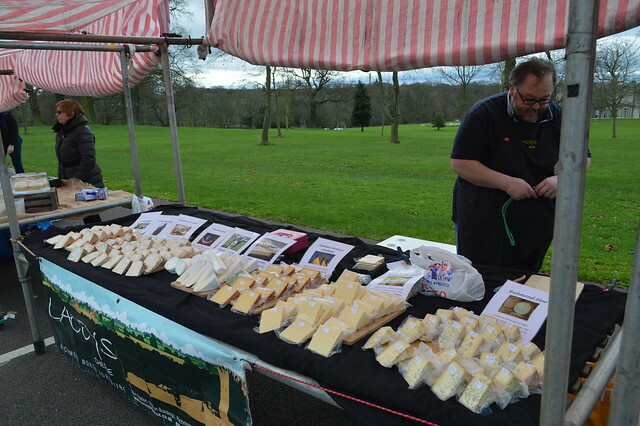 Most of the stalls holders were ready for business, with just a few who were yet to finish displaying their products, so we had a little wander in the grounds of Wynyard Hall to kill some time before all of the goods were ready to be sold. 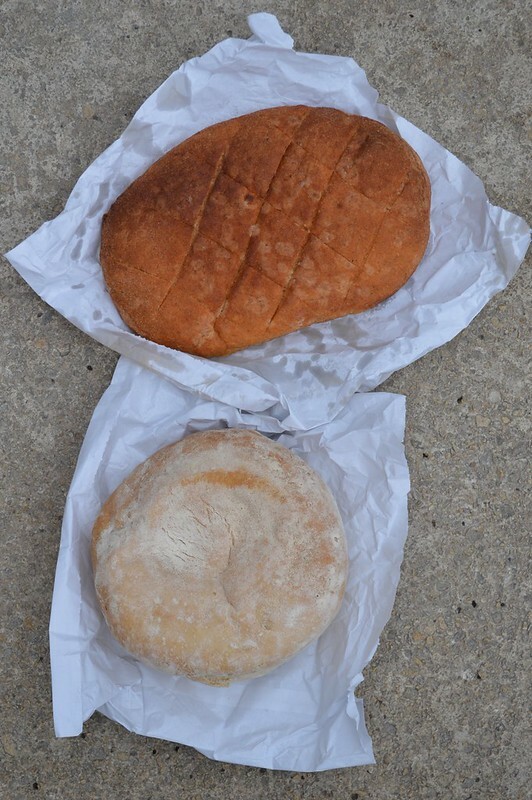 Once the farmers market was fully up and running, we started buying anything and everything that took our fancy, like a couple of food starved zombies. Well, maybe not zombies, but the food dispossessed. It has been a long Winter. 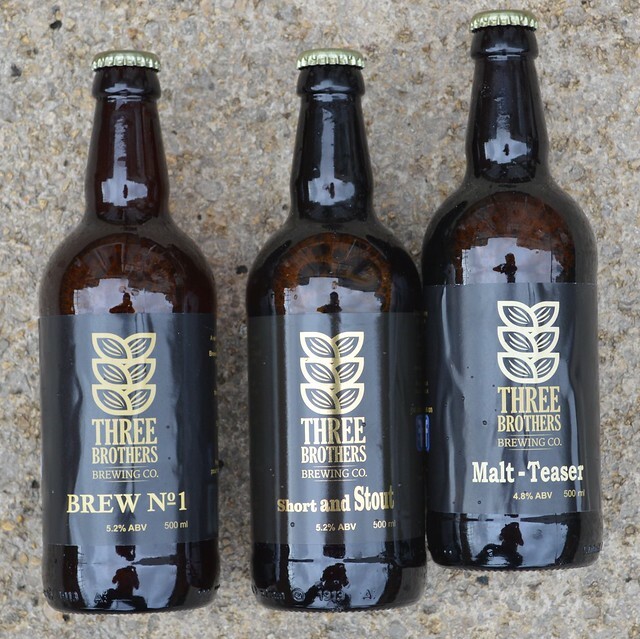 Once one has purchased bread, what could be more important than beer? The answers to the above question is lots of beer. 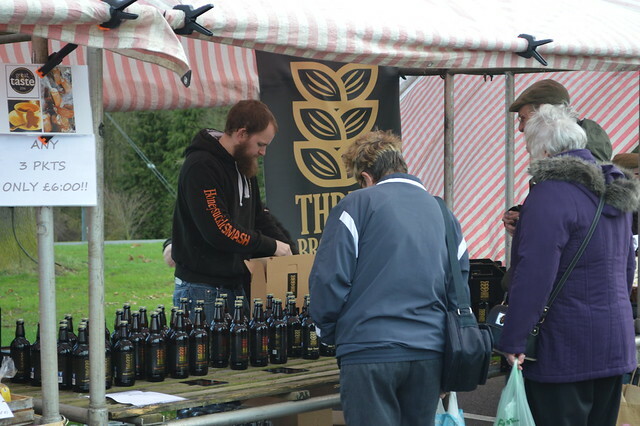 Seven bottles of beer loaded into our shopping bag (3 Short and Stout, 2 Brew No.1, and 2 Malt-Teaser) we moved on to peruse the next stall. With Mothers Day just around the corner, I thought I’d better get something for the old gal. You cannot have a successful day shopping unless it involves purchasing some meat, and what better meat than pork. 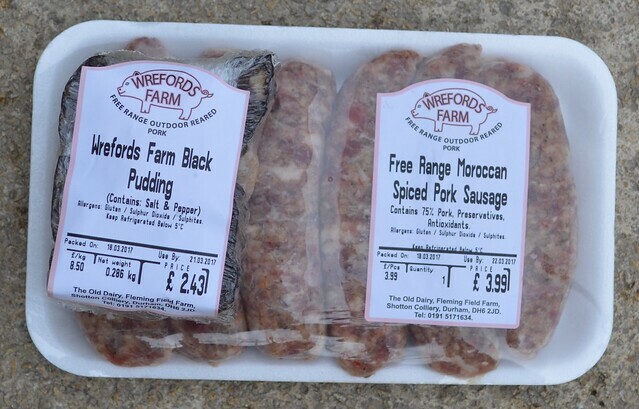 These sausages and black puddling are from Wrefords Farm (Fleming Field Farm, Shotton Colliery, Durham DH6 2JD) which is only a few miles from our house. 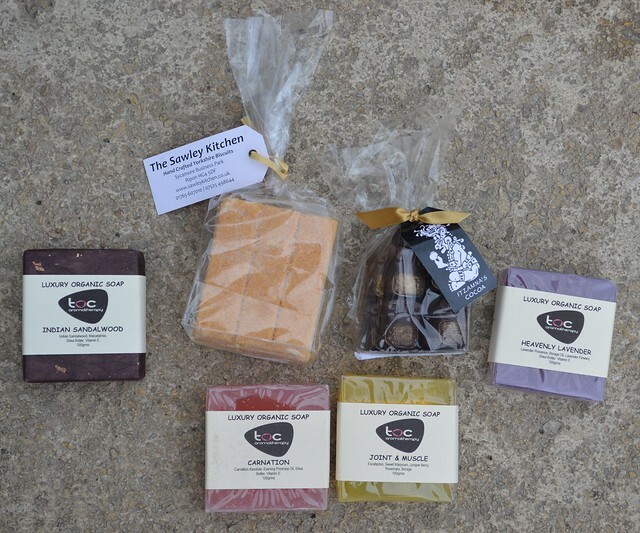 Now that is what I call eating local. 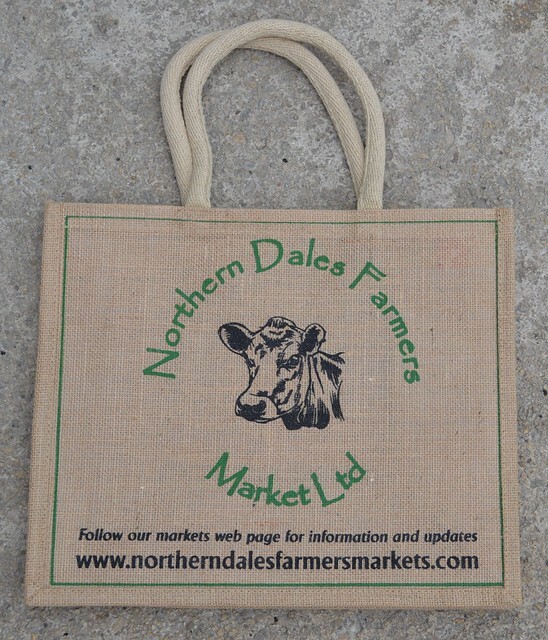 Just when we thought the day could get no better we were handed a free bag from Northern Dales Farmers’ Market http://www.northerndalesfarmersmarkets.com/ the folks who runs lots of farmers markets up here in the North East England. 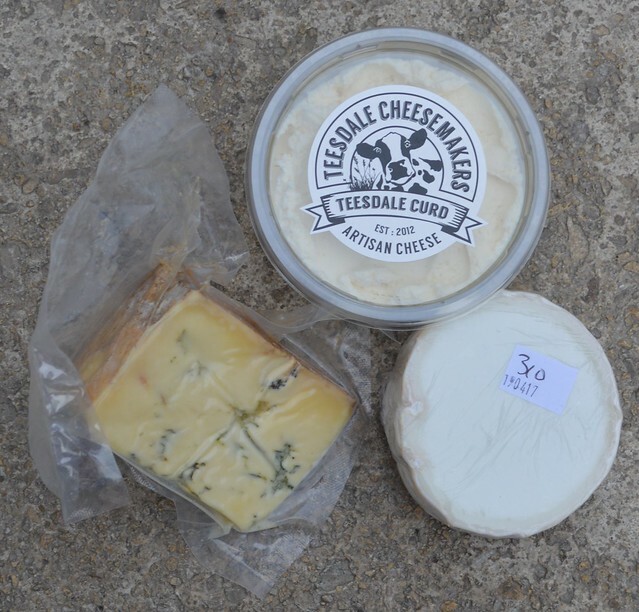 This entry was posted in Beer Adventures, Bread, Our travels in England and tagged Farmers Market, Itzamna's Cocoa, Laceys Cheese, Northern Dales Farmers' Market, Teesdale Cheesemakers, The Clucking Pig, The Sawley Kitchen, Three Brothers Brewing, TOC Aromatherapy, Wrefords Farm, Wynyard Hall on May 4, 2017 by Richard.